Ever wanted to go Treasure Hunting with your kids? 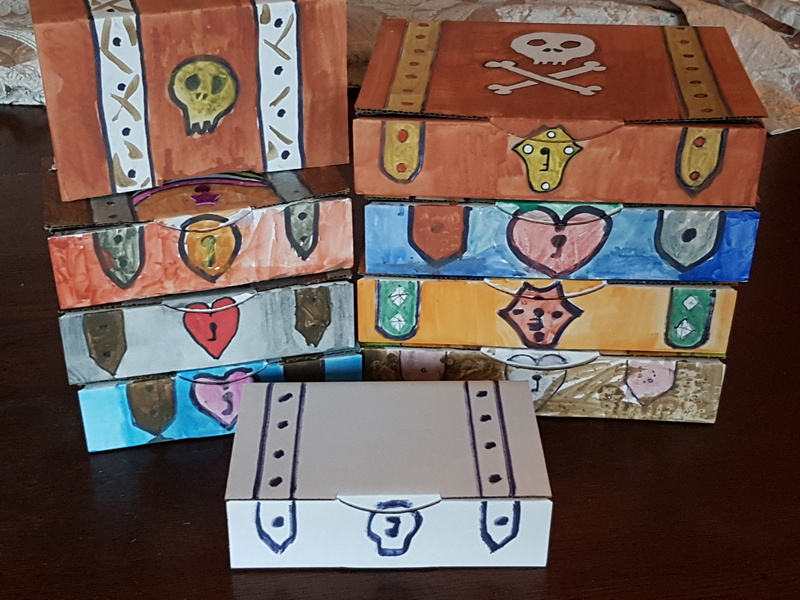 Make these awesome easy to do treasure chests, fill them up with chocolate coins and bury them somewhere in the backyard. Draw up a treasure map, and see if they can find them. Any box will do actually, just get the lines straight for the "metal bars", and draw in a keyhole. I prefer white boxes, as they are easier to paint.